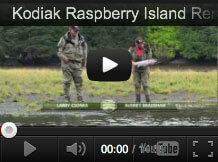 Kodiak Raspberry Island Lodge provided an extensive and diverse variety of wildlife in a remote and picturesque setting. 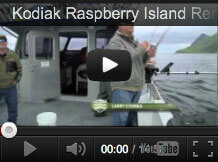 Captain and Fishing Guide Abby and Guest Ron boated the largest King salmon so far, this season. And, in just a few days, we made friends.